Does the above sound too good to be true? Well it’s not! Let me introduce you to Clinique’s NEW Superbalanced Silk Makeup SPF 15, a clever little makeup-lite that has been formulated to “balance it all”. Set to be THE foundation of the upcoming sticky, New Zealand summer IMHO, this beauty feels weightless on your skin, yet covers to perfection and is effortlessly buildable depending on your needs. It controls oil, yet hydrates and provides a fluid, silky texture, yet protects with an SPF. Clinique is calling Superbalanced Silk Makeup SPF 15 the epitome of “no makeup, makeup,” and it leaves skin with the kind of natural matte finish that we all want when the temperature starts to rise. Its smart, totally intuitive formula balances your skin’s ever-changing concerns throughout the day by mattifying oily areas and hydrating dry patches when needed. Despite housing many clever qualities it is incredibly light on the skin and oil free, so is perfect for everyone from dry combination to combination oily and oily skin types. Even if you’re traditionally dry over winter, an oily T zone can creep in as the layers start to peel off, and that’s where this beauty steps in once again to save the day. Light polymers and real silk (hence the name) are included in the formula to diffuse the look of pores, lines and wrinkles and means the fluid almost “becomes one” with skin upon application, a factor that I think is further enhanced by applying it with a beauty blender. You can also use your fingers or a brush of course, but so far I love using a damp blender for a super natural look. The foundation’s sun protection formula has a 3:1 ratio of UVB to UVA protection with a blend of chemical and physical sunscreens, so it helps prevent future ageing from occurring due to UV exposure as well as protecting upon application. I think the kind of coverage you get with this magical little number depends on how you apply it and how much product you personally like to use. I find Superbalanced Silk is a bit thicker and feels like it has a bit more slip to it than the original Superbalanced foundation that I first tried a few years ago. The finish is natural matte to begin with but I find that by applying a little loose powder after a few hours I get that same look to continue throughout the day. Lovely! 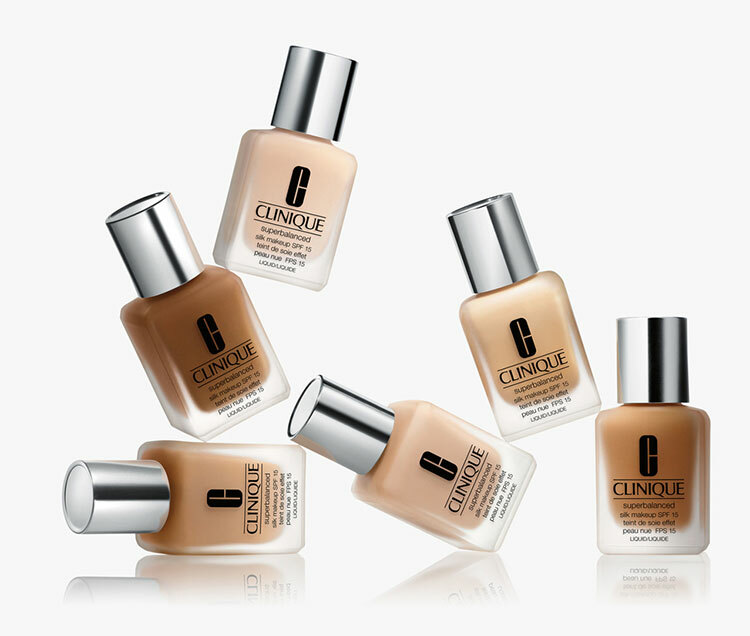 NEW Superbalanced Silk Makeup SPF 15 foundation is on counter now at Clinique counters nationwide and online at www.smithandcaugheys.co.nz and www.farmers.co.nz for a suggested retail price of $65. I highly recommend you pop on in for a peek.